I love these bracelets! I bought this as a gift for my previous boss. Such a simple yet stylish accessory, I recommend these to everyone I know & I wear one everyday. The collocation of polyester and metal,One Size Fits Most. 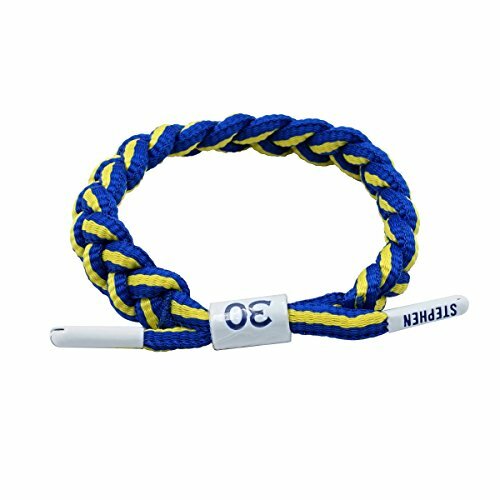 The bracelet features the team logo and the player's jersey number in the middle. SNUG FREE AND 100% MONEY BACK GUARANTEE: If our product does not meet your expectation in any aspect, please feel free to contact us.Our CSR is ready to help you out within 12 hours. If you have any questions about this product by MLFuture, contact us by completing and submitting the form below. If you are looking for a specif part number, please include it with your message.